1. Replace my conventional light bulbs with energy-efficient ones. One of the simplest things you can do to save energy and pollution is to swap out your old incandescent bulbs for compact fluorescent lights (CFLs). Today’s high-tech bulbs dim, come in decorative shapes — and radiate a warm, rosy glow. If you’re not ready for a full-house makeover, resolve to start by changing just one light. See our bulb guide for details. 2. Calculate my carbon footprint and see what I can do to reduce it. Do you live in a large apartment building or a small house? Do you drive a hybrid car or a pickup truck? How many times a year do you fly? Taking stock of your habits is the place to start in cutting "carbs". 3. Make small changes at home. An easy place to start is unplugging your chargers and computers when you’re not using them. Another simple change that pays off: Turn down your thermostat in winter (55 degrees when away or at night) and up in summer (to 85 when away). Wash clothes in warm or cold water, not hot. See more adjustments that add up to energy savings. 4. Drive like the Earth depends on it. The way you drive can affect gas mileage and cut global warming pollution from your car's tailpipe. For one, traveling with a light load will increase fuel economy. And driving without rapidly accelerating and braking also improves gas mileage. Get more tips. 5. Buy carbon offsets to help offset my emissions further. If you've already slimmed down your carbon consumption as much as possible, there is more you can do. Buying carbon offsets neutralizes what you can't cut, like flying for business or heating your house. 6. Choose seafood that's good for me and the ocean. Did you know that wild salmon from Alaska comes from a well-managed fishery and is a much better choice than conventional farmed salmon? (And, fortunately, canned salmon is mainly wild pink or sockeye from Alaska.) Do you know which fish you should eat only in limited amounts to avoid mercury or PCBs? It’s all in our seafood guide. 7. Write my members of Congress demanding a strong global warming law. Time is running out to solve the global warming crisis. Waiting just two years to pass national climate legislation would mean we’d have to cut emissions twice as quickly. 8. Pass this list to my friends and family. If everyone you knew made small everyday changes, think what a big difference it would make! Together we can make 2008 a banner year for the environment. Divorce can take a heavy emotional toll, not only on families, but also on the environment. So says a new study by ecologist Jianguo Liu of Michigan State University. When couples separate and form a second household, their consumption of water, land, energy, and other resources jumps considerably. 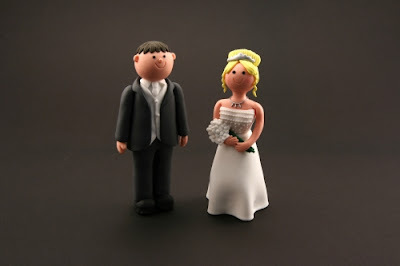 In the year 2000, about 15% of U.S. households were headed by divorced persons. Liu found that the splitting of families contributes to urban sprawl by increasing the number of households - an increase of 6 million in the year 2000. In the same year, the separation of spouses increased the number of rooms to be heated and cooled by almost 36 million, found Liu. Efficiency decreases after a divorce, found Liu and his colleague Eunice Yu, because households are composed of fewer people. Using a 2005 survey, the researchers found that per-person costs for electricity and water are 46% and 56% higher for divorced people than for those living in a married household. Overall, Liu and Yu estimated that divorce increased water use in the U.S. by 627 billion gallons, at a cost of $3.7 billion. Divorce boosted electricity consumption in 2005 by 73.5 billion kilowatt-hours, about 2% of the nation's electricity, at a cost of nearly $7 billion. It's greener, and more cost-effective, to stay together! Source: Sid Perkins. "Divorce is not ecofriendly." Science News. December 8, 2007. You may be concerned about the environmental impact of your holiday air travel. It's something to think about. A transcontinental plane,such as a 747, uses tens of thousands of pounds of fuel one takeoff. A single jet can produce as much nitrogen oxides in taking off, idling, and landing as a car driven 26,500 miles. But what to do? Sometimes flying is unavoidable. You might consider buying carbon offsets to neutralize your travel emissions. Several companies offer carbon offsets for travel. These purchases shouldn’t be seen as environmental pardons, but they do have some benefit. An individual calculates the amount of carbon he or she is personally responsible for (companies provide calculators), and then purchases an offset for that amount. The funds the offset company receives are used to finance projects that avoid, reduce, or absorb greenhouse gases through renewable energy, energy efficiency, or forest projects to bio-sequester carbon.The whole process, including the calculations, has the additional benefit of educating consumers about the impact of their travel. Tufts Climate Initiative has also published a user-friendly pamphlet on the subject, available online. "About the ecological footprint." Redefining Progress: The nature of economics. 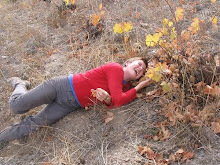 I blanched when I read the post about Wyoming's new wolf management plan, and ran outside to tell Ken. I somehow missed in my first reading of the article that the USFW service this week approved this plan! When I came back in and read it again, I couldn't believe it! But still, somehow this does not mean that the wolves have been delisted from the list of federally protected endangered species. It only means that USFW approves of the state of Wyoming reclassifying them within the state. This approval by the USFW service is interpreted as a precursor to the USFW's federal delisting of the wolves, though. I believe the feds are still held up by the various lawsuits against delisting, from environmental groups such as the NRDC. I'll be sending a check to the NRDC today. It’s been only 12 years since gray wolves, after years of near-extinction, were reintroduced into Yellowstone National Park. The initial group of 66 wolves were transplanted into the park from Canada beginning in 1995. Now, more than 1,545 wolves roam Idaho, Montana, and Wyoming. Biologists say that a minimum of 2,000 to 3,000 wolves are needed within the area in order to keep them from disappearing again. The wolves have had tremendous popular support from the beginning. Their reintroduction has been by far the most publicized and celebrated of any wildlife reintroduction in the U.S. 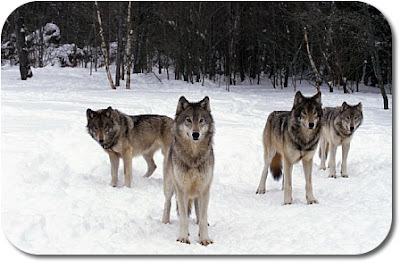 The wolves complete the Yellowstone ecosystem, which, without them, had too many hooved animals. The overabundance of some of the wolves' natural prey was altering the natural plant communities along stream banks, due to excessive trampling. With the wolves back on the scene, the Yellowstone natural community is much closer to what it was before most of the surrounding states were profoundly altered by development and livestock ranching. The success of the growing wolf population has made a lot of money for the park, in sales of wolf paraphernalia, such as wolf T-shirts, sweatshirts, coffee cups, and books from park gift shops. The wolves have also drawn thousands of tourists and wildlife supporters to the area, people who pay to sleep and eat in the park's expensive lodges. My family has been to Yellowstone twice to seek wolf-sightings. We've camped at the Slough Creek primitive campsite, close to the northeastern corner of the park where the wolf dens have often been fairly close to a park road. Every morning in this part of the park, passionate wolf-addicts gather before dawn along the roadsides where certain packs of wolves are most likely to cross in their daily foraging rounds. The hopeful wolf-watchers set up spotting scopes on tripods, and bring out the high powered binoculars and telephoto lenses. Then everyone scans the horizon. Every few minutes a murmur goes up and down the string of watchers "Is that a wolf?" Nope, a coyote. "What's that?" Nah, a fox. "Wait...what's that? Is it? IS IT?" On our first trip to Yellowstone, we never saw the wolves, due to inexperience about where and how to look. We were so disappointed, even though we enjoyed being there for the hiking and the wilderness and the camping. We saw lots of coyotes, even packs of coyotes, as well as black bears and grizzlies, elk, and pronghorn, and so on....but no wolves. But on our second trip, we got up at 5:30 every morning and waited for sometimes hours, in the spots where they'd been seen recently. We were rewarded by seeing members of the Slough Creek pack almost every day. We felt lucky to see them eating an elk they'd brought down, although we didn't see them make the kill. 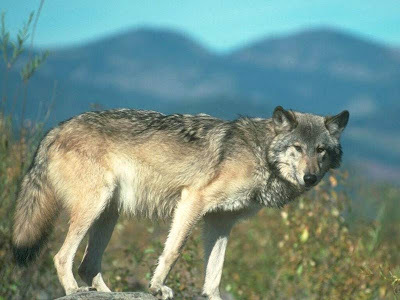 Ranchers and hunters have been opposed to the wolf reintroduction from the beginning. Hunters say the wolves compete with them for native game, particularly elk. Ranchers say the wolves kill their calves. 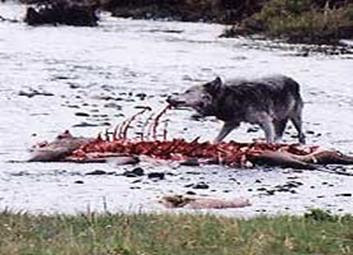 Wolves do occasionally kill calves and sheep. This year they've killed 330 domestic animals. But the U.S. Fish & Wildlife service compensates ranchers for loss of livestock. The ranchers and hunters apparently are concerned only with their own livelihoods and recreation, respectively. They don't appear to care about wolves, which were here long before we were. Wolves in the U.S. were decimated by an unprecedented extermination campaign in the early 1900s, funded by the U.S. government, which distributed posters encouraging people to shoot wolves on sight, and even offered a bounty for dead wolves. It worked. There were virtually no wolves left in the lower 48, although before Europeans settled North America, wolves were common throughout every region of the continental United States. If US Fish&Wildlife's plan to take wolves off the endangered species list goes through, hunters and trappers would be allowed to obtain permits to kill wolves. As long as at least 450 wolves survived, the animal would remain fair game. If their numbers dropped below 300, they'd be put back on the endangered species list. Environmental organizations are planning lawsuits to halt the delisting. US Fish & Wildlife has a backup plan that would keep wolves on the endangered species list, but loosen restrictions on when the wolves can be killed, and would allow hunters to kill wolves for going after their natural prey - elk. This provision is to accommodate hunters who hunt elk for recreation. If you want to help protect wolves, consider supporting Natural Resources Defense Council's campaign to protect them from delisting. Source: Matthew Brown. Associated Press. "Ranchers howling about rise in population of gray wolves". Charlotte Observer, Nov 24, 2007. Chocolate or specialty coffee can be an easy holiday gift to shop for. If you want to do a good deed for the planet at the same time, look for double or triple certified coffee or chocolate. When you buy these certified goodies, you're supporting sustainable livelihoods in tropical rainforests - livelihoods that don't involve clear-cutting of forests. Below are links to help you shop for these certified items online. * "Fair Trade Certified" ensures that companies pay farmers fair prices. More than 100 U.S. coffee companies have licensing agreements with TransFair, including Starbucks, Peet's and Green Mountain. Yet fair trade coffee still represents less than one percent of Starbucks' total coffee sales. The largest chocolate manufacturers, including Mars and Nestle, have yet to go fair trade. 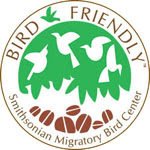 * Certified "Shade Grown" includes the Smithsonian Migratory Bird Center's "Bird Friendly" label as well as Audubon and Rainforest Alliance's shade-grown labels. * Triple certified—"Organic," "Shade Grown" and "Fair Trade"—products are the ideal but currently hard to find. La Siembra Group's Cocoa Camino (www.lasiembra.com/home.htm; 613-235-6122) hot chocolate, chocolate bars. Buy at globalexchange.org, www.serrv.org and www.chocosphere.com. See Coffee and Chocolate product reports at www.thegreenguide.com. David Wortman. "Coffee and Chocolate: Choose Organic, Fair Trade, Shade." 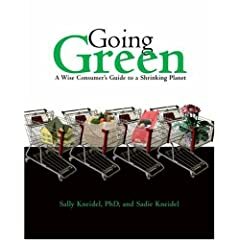 The Green Guide. National Geographic. Why does shade-grown chocolate matter to birds? Lots of those birds that visit your yard during summer migrate annually to and from Latin America where their habitat is being increasingly converted to sun-grown chocolate plantations. Chocolate begins with the cacao plant, which is native to the rain forests of Central and South America. For more than a thousand years, cacao plants were cultivated throughout the forest under a lush canopy of shade. * Deforestation of traditional cacao farms adds to the loss of tropical forests that is already occurring at an alarming rate in Central and South America and Africa. * Loss of forest habitat in this region is directly linked to a shrinking migratory songbird population worldwide. * When trees are cleared, natural predators that keep insects in check are no longer present, so farmers turn to powerful pesticides that harm people and wildlife. * Cacao plants rely entirely on tiny flies called midges for their pollination. Without these specialized insects, the world's supply of chocolate would be in jeopardy. And as rainforests are cleared, pollinators like the midge are in jeopardy. The nice thing about eating certified chocolate is that the good feeling from supporting a sustainable and wildlife-friendly industry offsets the guilt from eating the chocolate! It works for me. Source: Chocolate for the Birds. National Wildlife Federation. Where to Buy Organic Chocolate. Click here to listen to How Chocolate Can Save the Planet, a report on NPR by Joanne Silberner. Or read it below. Many people agree that chocolate is good for the soul, and researchers are finding that chocolate can be good for the body, too. But the environment? How could chocolate help with global climate change? The answer is found in a little piece of paradise, a patch of rainforest in eastern Brazil. Everywhere you look, something is growing. Orchids nestle in the crooks of trees. 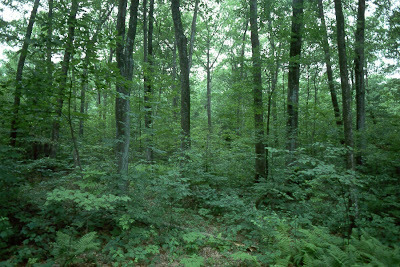 There are hundreds of shades of green, and the forest is loud with birds and insects. 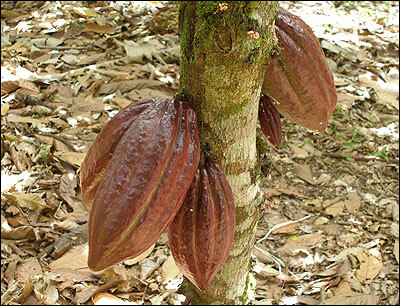 Some areas have been thinned out and planted with cacao trees — the source of chocolate. The pods contain the magical beans that Aztecs counted like gold. The cultivated cacao trees grow just a bit higher than a man can reach, and rainforest trees tower over them like something out of Dr. Seuss — some round like lollipops, some flat like a plate. And here's the climate connection. Rainforest trees and plants store massive amounts of carbon — keeping it from getting into the air as carbon dioxide. Can Chocolate Help Save the Rainforest? There's a lot less rainforest than there once was. There used to be 330 million acres of rainforest in eastern Brazil, called the Mata Atlantica. Settlers arrived hundreds of years ago and began destroying the forest for the wood, and to create fields for pasture and crops. Only 7 percent of the Mata Atlantica remains, and destruction is still going on. Every time a tree is burned, its stored carbon is released. As more carbon is released into the air, the planet gets warmer. That worries Dario Ahnert, a plant expert at the State University of Santa Cruz in Eastern Brazil. He says farmers need an incentive to save the remaining forest, and he hopes chocolate will be that incentive. Chocolate used to be a huge industry here, but in the past two decades, plant disease and low prices in the world market for cocoa beans devastated the industry. Farmers turned to other ways of making a living, including logging trees or burning the forest for farmland or pasture. When the nutrients in the soil were used up, the land was abandoned. Ahnert wants to persuade farmers to return to chocolate farming and preserve the forest. His friend, Joao Tavares, shows it can be done. Joao Tavares is a fourth-generation cocoa producer. Tavares, along with his brother and father, has 2,200 acres of rainforest planted with cacao trees. They grow cocoa using a method called cabruca — cutting down just a few of the tall rainforest trees, and planting the mid-height cacao trees underneath. Inside Tavares' cabruca forest, the ground is covered in a thick layer of composting leaves. It's moist, shady and cool here in the cabruca. Football-shaped pods — striped in yellow and green and orange and brown — jut out from the trunks and branches of the cacao trees. Tavares has worked hard to maintain, and also to restore, his little piece of the rainforest. He says that in the past 10 years, he has planted many wild trees. "We understand that we have to preserve the cabruca," Tavares says, "even if you have less production." He gets fewer cacao trees to the acre by planting inside the forest. But he avoids the drawbacks other farmers struggle with when they grow cacao trees on more open land. "You have more production, but you have lots of problems," Tavares explains. "You have more disease, more insects, so we decide to preserve." There's also an expanding market for environmentally friendly chocolate. Tavares has been able to get a premium for some of his crop. Still, his friend, professor Ahnert, admits that cabruca is a tough sell: Farmers want more so-called modern approaches and quicker money. That's why Ahnert hopes that cabruca can become part of the carbon credit market. Farmers would then get money for preserving forest trees, as well as for their chocolate. "You could increase the income, so I hope some day people that maintain this area are able to get carbon credits," Ahnert says. The World Agroforestry Center and the chocolate manufacturer Mars Inc. are currently studying how carbon storage can be measured on cabruca-like farms, and whether a carbon credit system would help farmers — and the environment. And there's an even more ambitious idea out there. Howard Shapiro, chief agronomist at Mars, hopes that chocolate could even bring back a little of the forest paradise that's been lost. He's doing tests with local scientists at Brazil's national chocolate research institute. "This is an area that's been planted on degraded land," Shapiro says, giving a tour of the three-acre research plot. After the forest disappeared, the soil became hard and compact, like yellow cement. Only weeds grew in it. Shapiro and his colleagues asked local farmers what sort of plants they would like, both in the long run and while they wait for the soil to become rich enough to support cacao trees. "What we decided to do was, we would begin with annual crops," Shapiro explains. "Corn, beans — things that have a cash crop value — melons, squashes, and begin to establish bananas for shade, then start to plant cacao." They also planted rubber trees, and heliconium flowers. The first plants went in seven years ago. Now it's easy to grab a handful of soil. It's dark brown, moist and crumbly, like devil's food cake — with worms. But the worms are good for the soil. "See all the little flowers on this tree?" Shapiro asks, pointing to a cacao tree. "All those little pink buds. … It's healthy. These trees are healthy." Shapiro wants to work out the details, but he's ready to say the project is a success. "We learned that you could take totally abandoned land, and you could restore it to profitability after about three years," he says. So, will preserving, and even replanting, some of this forest in eastern Brazil fix the Earth's climate problem? No. But in this little corner of the world, it may help. And at least we'll have more chocolate. Do you eat salmon? Lots of doctors are recommending it. But there’s more to salmon than meets the eye. If you haven’t seen the word “wild” at the market or on the menu, the salmon you’re eating is probably farmed. Farmed salmon are raised in floating feedlots in Chile, Canada, Europe, and the United States. And that spells trouble. For you, for wild salmon, and for the oceans. How can a food be so inexpensive in the supermarket but so costly both to our well-being and the environment? It’s because the economic groundrules hide the real costs. In the case of farmed salmon, those rules allow raw sewage to pour into coastal waters, and fatal epidemics to spread from farmed to wild fish. Meanwhile, the industry dodges the bill, leaving you, me, and our children to pick up the tab. Many people think that buying farmed salmon saves wild fish. Think again. Salmon farms don’t protect wild salmon. Instead, they infect wild fish with parasites and diseases, and compete for precious habitat when farmed fish escape their pens. These problems can spell disaster for wild fish. In British Columbia, at least three rivers have now been populated by escaped Atlantic salmon, an invader to our Pacific waters that competes with native fish. In Norway, the government has resorted to the deliberate poisoning of whole rivers to wipe out the spread of a parasite from a farming hatchery. Now that we recognize these problems, it’s time to demand that salmon farmers clean up their act. 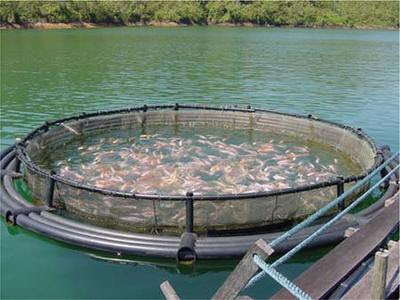 The farms can improve by raising the fish on land, in ponds whose waste is treated before it is released into the sea. That would at least isolate them from the wild fish they are harming. Salmon farming expanded from just 10% of global salmon production in 1986 to 58% in 2001 — much faster than our understanding of its impacts. As a result, salmon farmers have been getting a free ride. It’s time for them to start covering the true costs. For more information, click on Ecotrust's article below, The Hidden Costs of Farmed Salmon. Source: "The Hidden Costs of Farmed Salmon". Section Z: A Project of Ecotrust. What we eat plays an important role in reducing our risk of developing cancer. Or so concludes a new report from the World Cancer Research Fund and the American Institute for Cancer Research. The report summarized the findings of dozens of nutrition scientists from around the world, who reviewed thousands of studies published during the last 40 years. The new guidelines are more specific and less biased than the guidelines from the U.S. government, which are influenced by lobbyists from the food industry. The new report recommends guidelines that for most Americans would be an "extreme makeover" of the dinner plate. Eat mostly foods of plant origin. Eat at least 5 servings or 14 oz total of a variety of nonstarchy fruits and vegetables every day, as well as unprocessed breads, cereals, legumes or lentils with every meal. Refined, starchy foods such as white bread and pasta made with white flour should be limited. Reduce sugary drinks and fast foods. These foods have far more calories than we need. With sweet drinks, our brains don't seem to register the calories, so we keep eating. Red meat and processed meats "are convincing or probable causes" of cancer. Anyone who eats beef, pork, lamb or goat meat should limit it to not more than 18 oz. per week, which amounts to less than 3 oz. per day, a piece smaller than a deck of cards. Rarely or never eat processed meats such as sausage, bacon, and smoked or cured meats. The report recommends keeping our weights at the low end of the normal range and exercising 30 to 60 minutes per day. To see the entire report, go to www.dietandcancerreport.org. Suzanne Havala Hobbs of UNC Department of Health Policy. 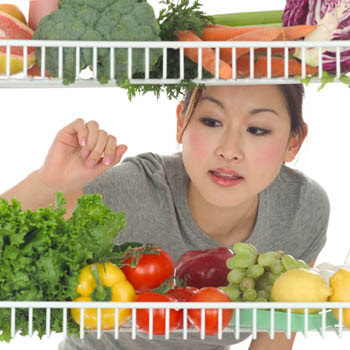 "Foods you eat can contribute to risk of getting cancer." Charlotte Observer, page 2e. November 21, 2007. 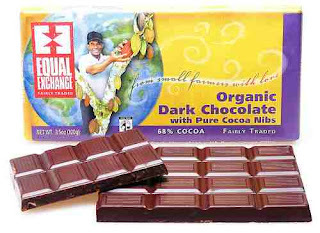 Listed below are some online sites to shop for socially-conscious gifts, including fair-trade chocolate. Great gift! When buying chocolate supports conscientious producers in developing nations, everyone gets to feel good. Most or all of the items available on the websites below are certified fair trade. This means that the workers who produced them were paid a living wage in safe working conditions. Source: "Footnotes." November 2007. The newsletter of the North Carolina Sierra Club. Just got back from shopping for a presentable-looking little table to put my laptop on, so I can take down the hideous card table in the living room. I'm addicted to working on my laptop while I watch TV in the evenings. But I can't leave the rickety card table up while family are here for Thanksgiving. It's just too ugly. Never did find a little table, but the shopping almost did me in. There's very little in life that I hate more than shopping, especially on a day when traffic is clogged. I found a scratched-up black TV-table at Goodwill for $8 that tempted me, and a perfect cherry "hall table" at the Amish furniture store for $269. Get real! I can't afford that. So I came home with nothing. Perfectly good waste of a beautiful Wednesday afternoon. Anyway, contemplating more shopping makes me want to gag...so I'm re-thinking the upcoming holiday season. I'm beginning to contemplate holiday presents that don't involve shopping. A gift list that doesn't require shopping will not only contribute to my serenity, but I'll save the fossil fuels required to drive around town endlessly. And if I get environmentally conscious gifts - all the better. 5. Give a membership to Sierra Club, your local land conservancy, the Nature Conservancy, Conservation International, World Wildlife, Wildlife Conservation Society, Waterkeeper Alliance, or the American Bird Conservancy. 6. Give a gift certificate to a local grocery that carries organic foods exclusively. 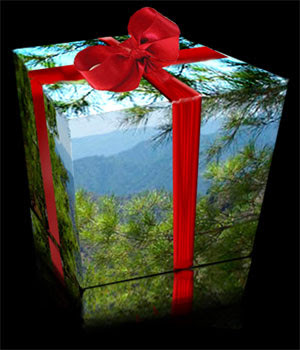 Next post: suggestions for socially conscious gifts. 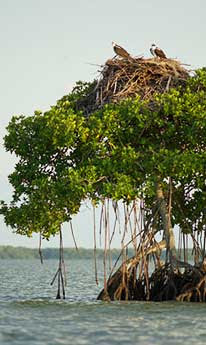 Mangrove forests, found along tropical coasts throughout the world, may become tools in the fight against global warming. A study by Malaysian professor Jim Eong Ong reveals that mangroves may sequester more carbon than any other ecosystem on earth, soaking up some of the carbon dioxide that humans generate. However, mangrove forests in South America and Southeast Asia are being destroyed to clear their shallow ocean-side habitats for the building of shrimp ponds to meet the increasing demand for seafood in rich countries such as the United States. Shrimp farmers only use each pond for a short period before clearing more mangrove forest to build new ponds - a strategy to avoid disease in shrimp populations. In other areas of the world, human population growth has led to destruction of these coastal forests to make way for oceanside development. 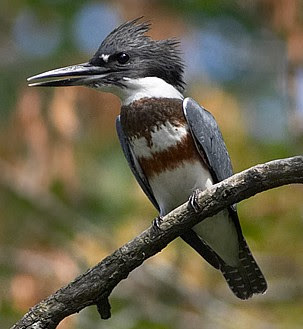 But new evidence could provide more incentives for preserving mangroves forests, which are home to many coastal birds that nest nowhere else, and which protect the vulnerable young of many marine fish from larger predatory oceanic fish. 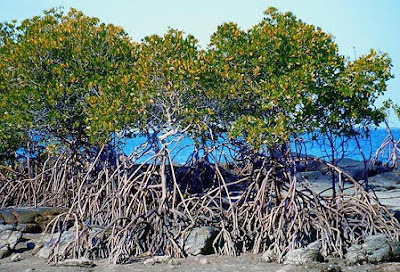 mangrove forests would be preserved both for their ecological value and as a new weapon against global climate change. Destruction of mangroves is not only bad news for our climate, it can also have devastating effects on ecologically and commercially important fish populations. Cory Sanderson. Fall 2007. 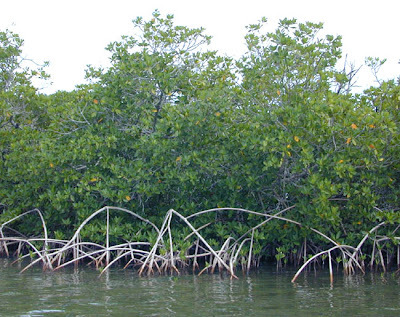 "Mangroves - The Unexpected Climate Change Weapon." The Reporter, a publication of Population Connection. Kennedy Warne. "Forests of the Tide." National Geographic. February 2007. Congress is about to pass an energy bill that will kill renewable energy development in this country. Please TAKE ACTION to set Congress right! This vital bill is about to be compromised almost to death, with no provision for tax credits to help ordinary Americans take advantage of the benefits of solar energy. We need you, as a Solar Citizen, to contact your representative and senators as soon as possible, and ask them to put your concerns to Speaker Pelosi and Majority Leader Reid before Congress gives away YOUR future. Please click on this link to learn more and to TAKE ACTION! A hidden culprit behind the conflict in Sudan's Darfur region is global climate change, UN Secretary General Ban Ki Moon wrote in a newspaper editorial last spring. Although we tend to use political or military terms when discussing the violence in Darfur, "its roots," says Ban, are "a more complex dynamic." One of the root problems of the conflict is global warming. More than 200,000 people have been killed in Darfur since 2003, when local rebels took up arms against the Sudanese government. Violence in Darfur began in response to worsening drought conditions in the region that caused both water and food shortages. Ban's warning follows that of other experts, including Britain's Home Secretary John Reid, who pointed out that "the lack of water and agricultural land is a significant contributory factor to the tragic conflict we see unfolding in Darfur. We should see this as a warning sign" of continued social dislocation and violence. Rainfall in Sudan began declining in the 1980s because of "man-made global warming," said Ban. He called for economic development in the region that might involve new irrigation and water storage techniques. Meeting unmet contraceptive need would also address the very root of climate change: population growth. Kandis Wood. Violence in Darfur Linked to Climate Change. The Reporter, magazine of Population Connection, Vol. 39. Fall, 2007. Power Plants or Clean Energy – Who Decides? Dr. James Hansen, the nation’s foremost climate scientist, will speak at forums in Charlotte and Chapel Hill on the need for major reductions in greenhouse gases within ten years – before climate disruption becomes irreversible. As a member of the Intergovernmental Panel on Climate Change, Dr. Hansen recently won the Nobel Peace Prize along with Al Gore. Hansen, head of NASA’s Goddard Institute, is coming as a private citizen in support of the statewide effort to block a new coal-fired power plant planned by Duke Energy at Cliffside, NC. In the 1980s Hansen was one of the first scientists to warn about global warming. He was profiled on CBS 60 Minutes in 2006 for speaking out against White House pressure to censure evidence showing global warming is accelerating. Mike Nicklas, a leader in renewable energy, will help promote Hansen’s plan for cutting global warming pollution through clean energy solutions. Nicklas is former chair of the American Solar Energy Society, past president of the International Solar Energy Society, and former Director of the Sustainable Buildings Industry Council. I was dismayed to learn not long ago that the biggest importer of primates worldwide is the United States. According to an American University document, we import more than 20,000 primates per year into the U.S. We import four times more primates than any other single country, and many of them are wild-caught. Does it matter? It does. More than 130 of the world’s primate species are endangered. Although the leading threats to primate populations are destruction of tropical forests and poor protection of existing reserves, the primate trade or black-market is also a major contributor to the worldwide decline of wild primates. In tropical countries, wild primates are captured and sold for food, for pets, and increasingly, for use in our research labs. But here's what really puzzled me. I also learned that the U.S. is third in the world in the number of primates exported. Why would the U.S. import wild primates, and then export the ones that are bred here in captivity? Turns out the answer is pretty easy. Wild-caught primates cost only a third as much as ones in cages. Big savings for a research outfit on a tight budget. Is all this research on primates and other mammals (dogs, rabbits, etc) really necessary? Many think not. Much of our lab research involves animal-testing of personal-care products such as lotions and cosmetics that are simply new combinations of products that have already been tested. What about medical research? Paul McCartney is a big supporter of cancer research in honor of his late wife Linda, but he's also an adamant animal-rights activist. Paul donates money to cancer research with the stipulation that it can’t be used to fund animal research. He points out that the most positive gains against cancer have been in education and prevention. PETA, People for the Ethical Treatment of Animals, has a useful list of how you can help protect animals from laboratory testing, including not only dogs and rabbits, but also wild-caught and captive-bred primates, among them chimpanzees - our closest relatives, whose natural habitats are disappearing. Write your representatives in Congress to demand that humane alternatives to animal experiments be used. Refer to PETA’s helpful guide to writing effective letters. Contact medical schools that use animals for education and ask them to eliminate live-animal labs from their curricula. Many of our most respected medical schools have already done this. Purchase cruelty-free products and donate only to health charities that never fund animal experiments. 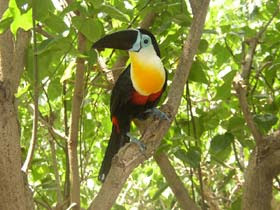 For more information about the worldwide trade in wild animals, the World Wildlife Fund website is an excellent source. Primate Trade. Trade & Environment Database. American University. Stop Animal Tests. People for the Ethical Treatment of Animals. HIV, the virus that causes AIDS, is epidemic in Africa. In some sub-Saharan countries, 35% of the population is infected. Every year, as many as 700,000 babies are infected with the virus during pregnancy, birth, or breast-feeding. For 15 years, professional health organizations such as WHO have recommended that infected women in developing countries avoid breast-feeding to prevent transmission of the virus through breast milk. But recent research from physician Nigel Rollins of the University of Kwazulu-Natal in South Africa has turned that recommendation on its ear. There's no question that breast-milk can transmit the AIDS virus. But the realities of formula feeding in developing nations complicate the picture. In Africa, women often don't have access to clean water or can't afford enough formula, and often wind up supplementing the formula with breast milk. And sadly, a mixed diet of formula and breast feeding turns out to be the worst possible recipe for AIDS transmission, worse than either alone. That's because unclean water in the formula often irritates the lining of the baby's gut or makes sores in the baby's mouth - so that during subsequent breastfeeding, the HIV virus has an easier path into the baby's blood. Rollins and his research team studied more than 2,700 women for 7 years, and published the results in the March 31 edition of the medical journal, Lancet. They found that babies fed only breast milk had only a 4% risk of infection from the ages of 6 weeks to 6 months. 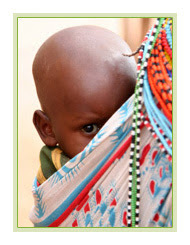 This was less than half the risk of HIV infection of babies fed with breast milk plus formula or other milk products. In addition, babies fed solids as well as breast milk were 11 times as likely to become infected as were breast-only babies. The solids were also found to inflame a baby's immature digestive system, thereby facilitating transmission of the virus through the gut wall into the baby's bloodstream. Formula-feeding in developing nations has other problems as well. Babies fed formula or solids before 6 months of age don't get the full nourishment and disease-fighting benefits of breast milk, while being exposed to increased risks of gastrointestinal diseases and malnutrition from unclean water. "We've reached remarkable consensus among experts" that exclusive breastfeeding is best during the first 6 months for babies of HIV-infected mothers in poor countries, says Jean Humphrey of the John Hopkins School of Public Health, speaking from Zimbabwe. "The issue really now is what to do after 6 months." WHO currently recommends that mothers wean babies rapidly after 6 months to avoid prolonged exposure to mixed feeding. Carolyn Barry. "The Breast Solution: Nature's nutrition keeps HIV at bay." Science News. September 22, 2007. Some sections of the blog post above are direct quotes from the Science News article. Birds make tools - they even show handedness in making and using tools. In the Oct 6 issue of Science News, there's an article about crows fitted with tiny "crittercams" that record the crows' use of plant stems to probe for food. 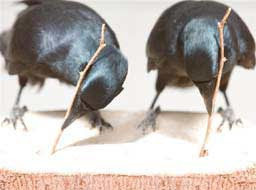 These crows, from a South Pacific island, make several types of hooks and saw-edged probes from twigs and leaves. I saw a film long ago that showed crows sitting on power lines and dropping nuts (or something with a hard shell, I forgot what) into traffic to be crushed by cars - then retrieving the contents when the stoplight stopped the traffic. Last night, I went to the web site of one of the primary researchers of tool-use in crows, Gavin Hunt of the University of Auckland in New Zealand. I found it by googling "Gavin Hunt crow tools". He has an interesting site: http://language.psy.auckland.ac.nz/crows/our-research.htm. Dr. Hunt says that crows show cumulative change in tool manufacture, which is very rare or even unique among the few animal species known to make tools. Chimpanzee and orangutan tool manufacture, for example, is often haphazard, and their tools show no evidence of incremental improvements over time. Just for perspective - current human technology is the result of a long series of cumulative changes, says Dr. Hunt. The ‘ratchet-like’ nature of humans' technological evolution means that design changes are retained by populations until new, improved designs arise. 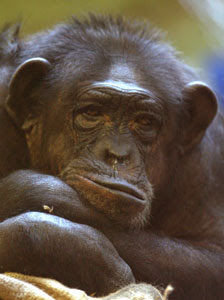 Animals other than humans have been generally presumed to lack the necessary cognitive sophistication for cumulative technological evolution. What does it mean? To me, it means we're not nearly as unique as we think. I wonder about all the other behaviors we've yet to observe in the creatures that share the planet with us. I want to do what I can to preserve habitat and biodiversity. Like your chocolate dark? There's lots of evidence that it's very good for your health. Cocoa naturally has flavonoids in it, which can give chocolate a bitter taste. To smooth the flavor, the flavonoids are often removed during the making of chocolate. Recent research, by Norman Hollenberg of Harvard Medical School, has shown that eating chocolate with the flavonoids intact can increase blood flow to the brain by 10 to 15%, with definite health benefits. Hollenberg's research team has been studying the Kuna people who live on islands off the Caribbean coast of Panama. In the early 1990's, the team noticed that the Kuna have a lower incidence of high blood pressure than Americans, and lower risk of diseases associated with high blood pressure, such as heart attacks, diabetes, strokes and some kinds of dementia. They also found that the Kuna drink several cups of cocoa per day. Kuna cocoa is minimally processed, leaving large quantities of flavonoids in the cocoa. Kuna who moved off the island and drank cocoa without the flavonoids did not have the same health benefits. Recently, Hollenberg conducted an experiment in the United States to look for a connection between the flavonoids and the low blood pressure. He gave one experimental group cups of cocoa with flavonoids every day, while the other group received cocoa without flavonoids. The group that drank the flavonoid-rich cocoa had 10 to 15% more blood flow to the brain, and less high blood pressure. The other group showed no changes in blood flow. When you choose chocolate bars, it pays to look for brands that advertise flavonoids. They may provide valuable health benefits. Dark chocolate is better for the environment too, because dark chocolate is often made without dairy products, or with less. Dairies are among the biggest sources of nutrient pollution of surface waters and ground water in the U.S. A single dairy cow creates 120 pounds of waste per day! That's more than twice as much as a steer raised for beef, because beef cattle are slaughtered before full maturity. But back to chocolate. Can't you get more and better flavonoids from other foods? Not really. Dr. Engler of the UC San Francisco study says that dark chocolate contains more flavonoids than any other food, including green tea, black tea, red wine, and blueberries. While a little dark chocolate is good, a lot is not necessarily better. Chocolate still has a lot of calories. If you eat more chocolate than you have been eating, you'll need to cut out something else, or get more exercise. The key to heart health includes a balanced diet with lots of fruits and vegetables, little saturated fat, and lots of activity. 1. Daniel J. DeNoon. WebMD Medical News. "A Dark Chocolate a Day Keeps the Doctor Away." 2. "Cocoa compound increases brain's blood flow." Science News. March 3, 2007. 1. Provide fresh water daily. The safest way to offer water to birds is in a bird bath that's elevated beyond the reach of house cats. Change the water every day to avoid spreading disease. 2. If you don't have a bird bath, put a bowl on the ground - but only if you can put in an open area where cats cannot ambush birds. I'm guessing that a cat can ambush a bird from any sort of hiding place within 10 feet of the water bowl. Maybe more than that. If you have natural areas in your yard, squirt them occasionally with the hose. Squirrels and rabbits and chipmunks will come to a bowl on the ground, but snakes, toads, mice etc, that are burrowed in the leaf litter need moisture too. And they generally won't come to a bowl to drink. 3. Offer seeds and fruits to birds, such as slices of orange. Drought affects not only the water available, but it affects the insects and plants that birds and animals eat. As above, make sure the feeder is not a bird-trap for the local house cat, by elevating it or placing it on the ground with a wide circumference of open area. Keep it clean by scrubbing it regularly. 4. For the long term, native plants withstand drought much better than introduced plants and ornamentals, many of which are from tropical rainforests. So landscape your own yard with native plants, which can be found at plant nurseries, even Home Depot (ask the plant manager there). If not, google Native Plant Society and your state name to find a local source for native plants. Don't dig up native plants in protected woodlands for your own yard - tempting but damaging to wildlife. You might find a friend who propagates native plants and will give you a few seedlings or seeds. For a good guide to landscaping with native trees, shrubs and perennials in North Carolina, see www.ncwildflower.org. Most states have such organizations now. Some of the most attractive native plants for landscaping in North Carolina are eastern redbud trees, purple coneflower, black-eyed Susans and eastern columbine. Animals love shrubs and trees that produce berries and fruits, such as mulberry, dogwood, and persimmon. Ask at your local native plant society or nursery about which varieties are native to your area. 5. Keep your house cat indoors. Birds and small animals weakened by hunger and thirst may be more vulnerable than ever to house cats, all of which prey on birds or small mammals - whether you witness it or not. Not only will the birds and other animals be better off, but your house cat will be safer too. For more info on how to make your cat a happy indoor cat, local cat laws, and resources, visit www.abcbirds.org/cats. Packing my lunch and fixing dinner are two parts of the day that I try to do as fast as possible. With the job I have right now, efficiency at home has become a high priority. But I'm also not getting enough exercise. So I try to pick foods that meet three goals: heart-healthy, low-calorie, and low environmental impact. 2. 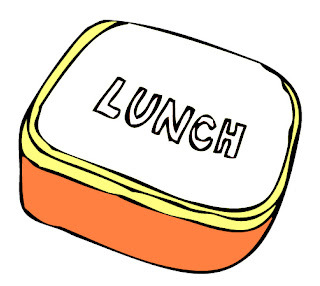 For lunch, eat a cup or a cup and a half of low-fat or fat-free plain soy yogurt, fortified with calcium. If you prefer dairy yogurt, choose non-fat plain organic yogurt. Just before eating: slice a banana into it, add a tablespoon or so of walnut pieces, and sprinkle with cinnamon. Very low-fat and low-calorie, with a lot of calcium and protein, and very tasty. Soy yogurt and organic dairy yogurt have a lower environmental impact than regular yogurt. I buy 32-oz tubs of yogurt and that makes about 3 lunches. 3. Use olive oil instead of oils with saturated fats. Only olive oil and canola oil are high in monounsaturated fats. The FDA has approved this statement for use by olive oil manfacturers: "Eating about 2 tbsps of olive oil daily may reduce the risk of coronary heart disease due to the monounsaturated fat in olive oil." Among the worst oils for your heart are palm oil and cottonseed oil. In between somewhere are corn oil, sunflower, and safflower oils. 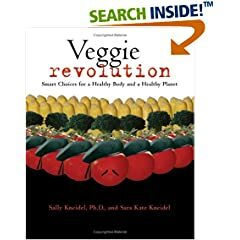 More about that in our book Veggie Revolution. 4. Cook vegetables in the microwave. Just put sliced vegetables on a plate, fresh or frozen, and put it into the microwave. Zap for one minute and test, then add additional minutes as needed. Some people put a teaspoon of water on the plate for steam, but I don't. This is really fast way to cook frozen broccoli. And microwaves are by far the most energy-efficient appliance for cooking food. When possible, buy locally-grown veggies. Less transport means fewer greenhouse gases. Plus, buying local foods usually means you're supporting small farmers in your own community. 5. 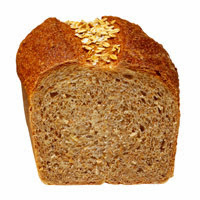 Eat whole grains, such as whole-grain rice, whole-wheat bread, barley, quinoa, or wheat berries (chewy and very good). Eating 2 and half servings of whole grains every day is associated with a 21% lower risk of heart disease than eating close to none. Be aware that "Wheat Bread" or brown bread is not necessarily whole-wheat. Look for a bread bag that says "100% Whole-Wheat." And check the fiber. Some 100% whole-wheat bread has twice as much fiber as other brands. While you're at it, look for organic breads and grains. These are not only healthier for you, because they lack pesticides, but they're also far healthier for wildlife, for fields and forests, and for our rivers and streams where agricultural chemicals wind up.